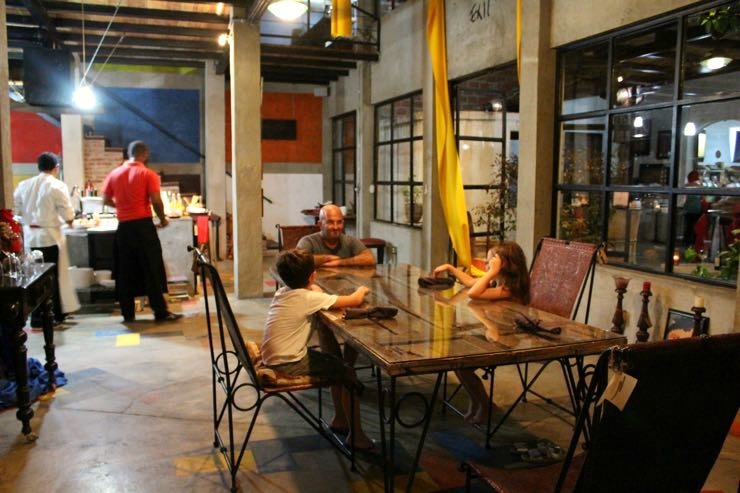 Anyone passing by might mistake the Ciudad Lounge for a globally inspired furniture store, and that’s because almost everything in the restaurant is for sale. The space is filled with an eclectic mix of wooden tables and chairs, bookshelves, ceramic vases, candles, sculptures and large statues. 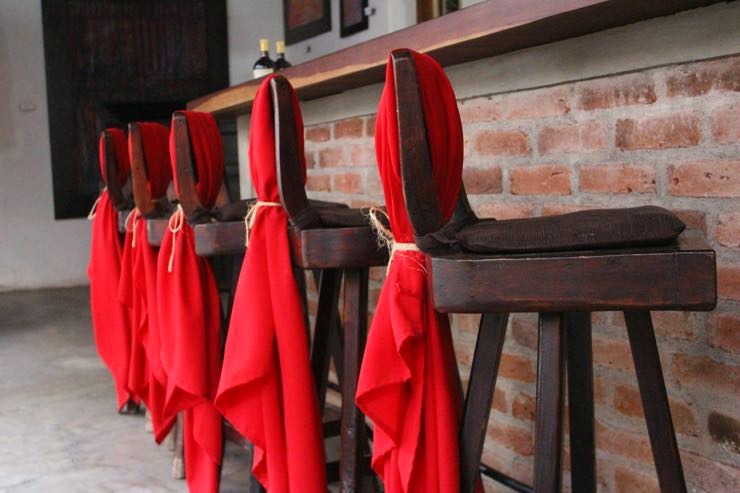 Fabric as red as a matador’s cape are perfectly draped on the backs of the barstools, just barely skimming the floor. 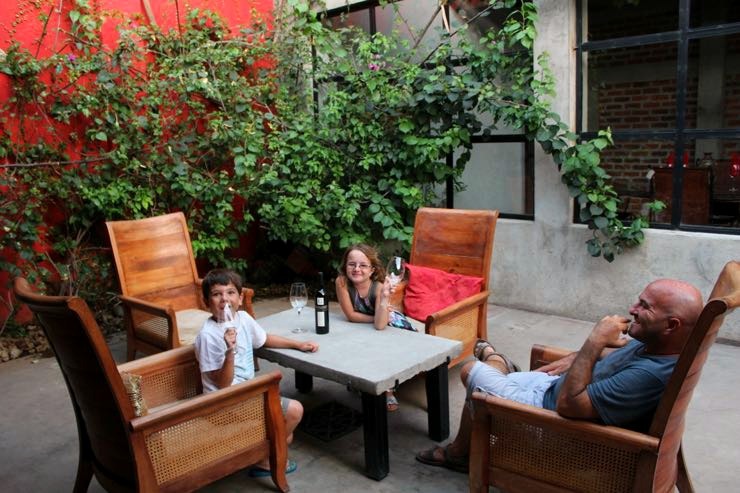 The Ciudad Lounge in Granada, Nicaragua is oozing with charm and is a little off the beaten path. You will not find it along the popular Calle La Calzada, which is packed with tourists. Well worth the short walk or cab ride away from the crowds. 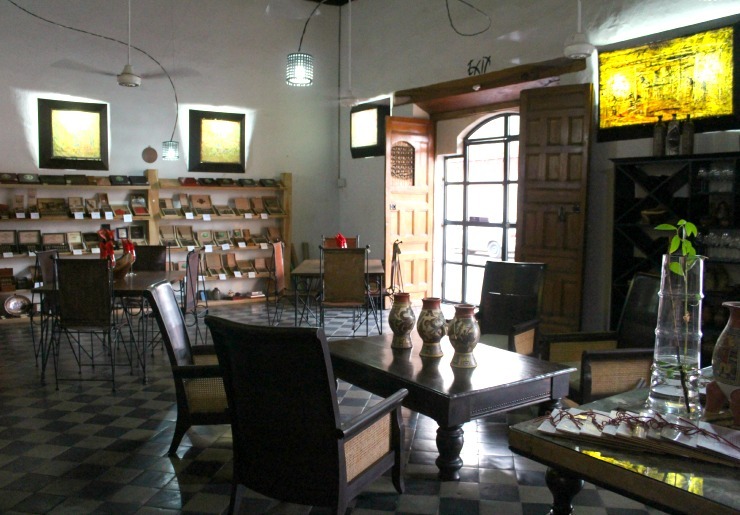 The Ciudad Lounge is an eclectic mix of local artisan store, restaurant, wine bar and cigar lounge. We walked from our hotel, Hotel La Dulce and went for an early dinner since it was a cocktail lounge and we weren’t sure about bringing the kids. Traveling with kids doesn’t mean you have to skip out on the cool places, it just means you go a little earlier so you don’t fee awkward or make anyone else feel awkward. Luckily our kids have traveled enough and know that Mom does not miss out on good food and wine simply on their account. We were shown to the garden patio for a pre dinner drink. 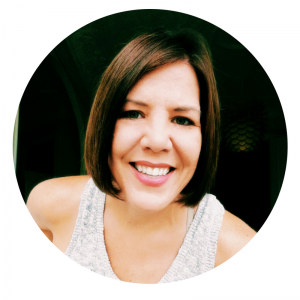 The Chef’’s wife, Noemi, chatted with us for a bit and we quickly learned that they used to live in San Diego and had a restaurant there before coming back to Granada to open the Ciudad Lounge. Talking with her I could feel the passion and intense love that they have put into their restaurant. It’s not only their home but how they have designed their life, being surrounded by the things they love. Everyone should be so lucky to live a life they love. Noemi and Chef Puro treated us like honored guests from the moment we arrived, ignoring the fact that Hudson was wearing flip flops, Harris had on sandals and McKenna took off her shoes. Clearly she felt right at home. 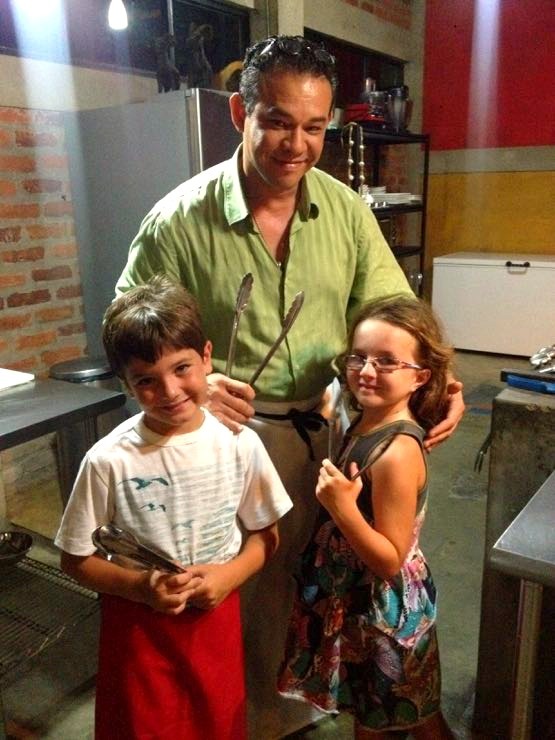 In fact, Chef Puro invited us back to the kitchen to sit at the chef’s table and let the kids poke around the kitchen. 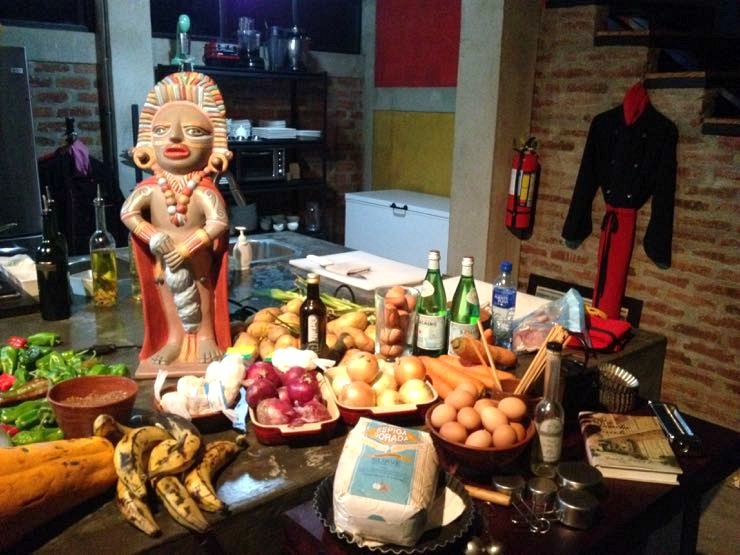 He had a beautiful display of fresh ingredients and cooking essentials scattered around a table. He even put an apron on Hudson. We were the only ones in the place and so we got the VIP treatment, but I honestly believe this is how they treat everyone who enters their home. No matter where you come from or how your dressed, they’re just glad you came. Chef Puro and Noemi have a way of putting their arms around you, welcoming you into their world and making it so you never want to leave. 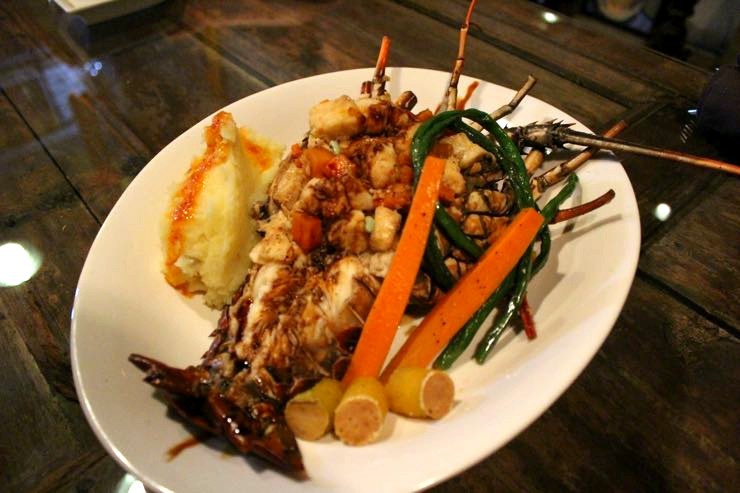 Whether you come for the wine, whisky, a cigar or dinner you’ll leave having shared a taste of their life. 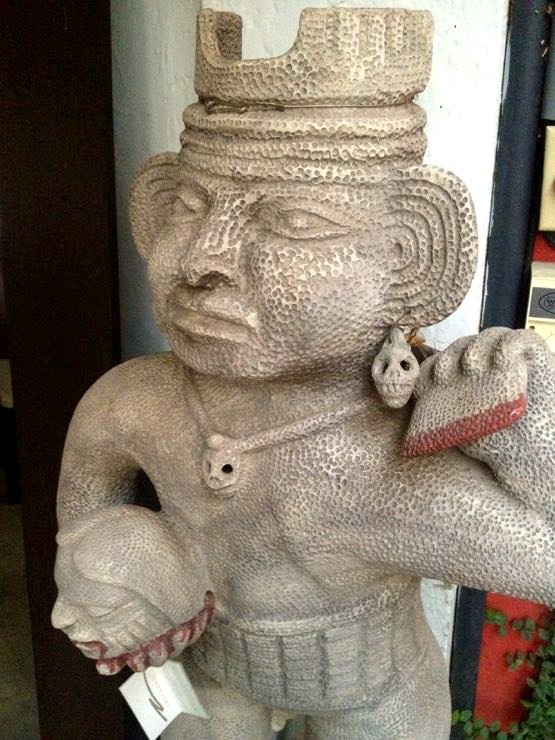 Have you been to Granada, Nicaragua?